Marking her touring debut, Briana has brought the music and wonder of Beauty and the Beast to audiences in Turkey, Egypt, China, Taiwan, Qatar and Lebanon, among others. As Briana herself notes, however, performing around the world is not without its risks: While journeying through the Middle East, the cast came all too close to witnessing the political turmoil of the region firsthand. “We left Beirut a couple days before the bombing,” Briana explains, “so everyone was kinda shaken up. With so much happening in the world, Disney goes through a lot of security measures to make sure we’re all okay, which is so appreciated. It’s always a mix: You don’t know what’s going to happen until you get there. 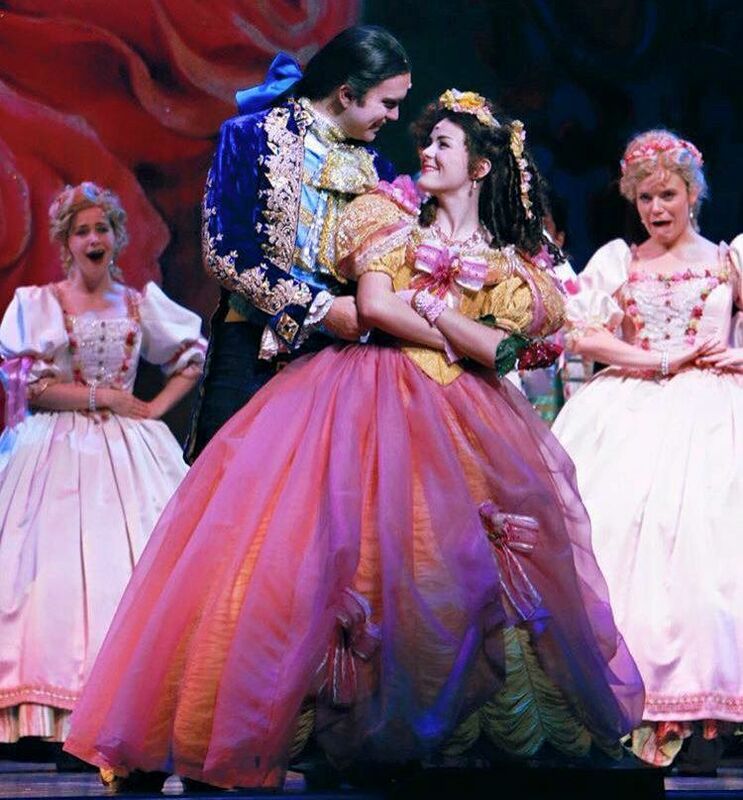 Since the 1991 release of Disney’s Academy Award-winning animation, Beauty and the Beast has dazzled over 35 million audience members in more than 28 thousand performances across 22 countries, including a 13-year run on Broadway. With its animated film, soundtrack, international tour, domestic tour and upcoming live action film, Beauty and the Beast has proven a multi-billion dollar franchise in its own right. “Beauty and Beast has had a performance every single day somewhere for the last 20 years, which is just crazy,” remarks Rapa. 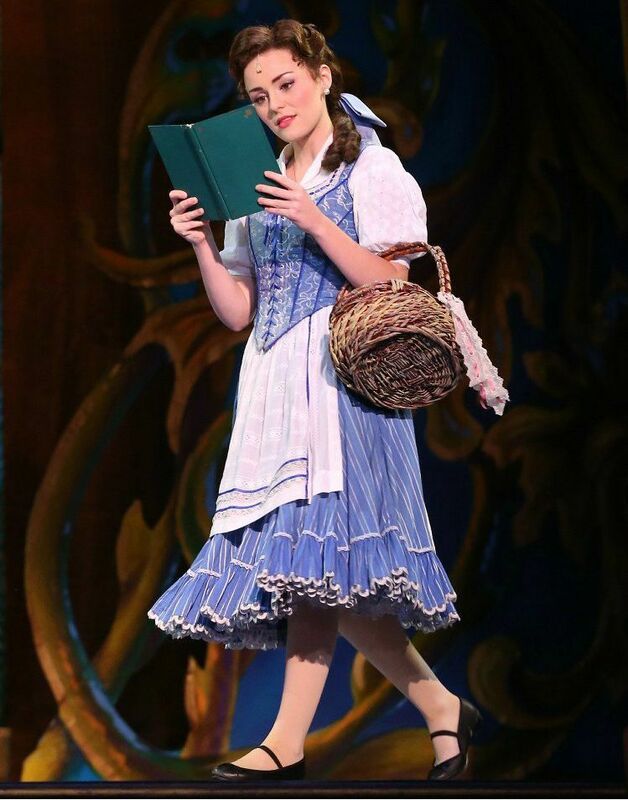 Taking a (brief) respite while she was on tour, Briana spoke with AMDA about being Belle, traveling the world, and some backstage secrets behind the tale as old as time. Congrats on getting Belle! What was the audition process like? 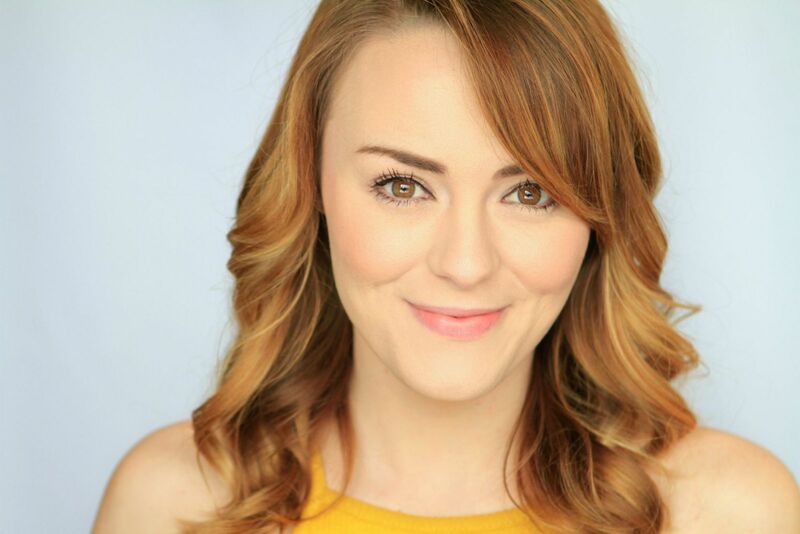 I graduated last October, and I was still living in Los Angeles, when my agent—I got her through AMDA, which is amazing—sent me in for the Beauty and the Beast call. I went in and sang little snippets they have of the opening number. They kept me asking me to sing it again, then asked me to stay to read the scenes and work with the verbal director who was there. I did callbacks again, and then after that they asked me to fly to New York to do the producer call, which was just so exciting. So I got flown to New York…and then I get food poisoning the morning of my producer call. What flair do you add to make Belle your own? It’s important to remember that Belle is a kid, but she’s a very mature kid. She’s a teenager, so I try to incorporate her youthfulness—she still has that state of wonder about her. She’s also really smart, and has such a big heart: She sees through all of the ugliness and sees who everyone truly is. You gotta find the mix between the two: Make it a youthful energy, but also a mature energy at the same time. Belle goes through such a transformation. Seeing the transformation that I’ve personally gone through since graduating a little over a year ago has been really interesting. You learn and grow up so fast in such a short amount of time. Seeing the world has been just life changing: Seeing all these different cultures and learning about what’s normal in all those places. It’s really eye opening, and I’m so thankful that it’s been a part of my life. What’s it like going from living in Los Angeles to touring everywhere? It’s a pretty big difference…I had to pack up my life in a couple days, move it all to my parent’s house, then fly to New York to start rehearsal. You go from living in an apartment to living in one suitcase that has to be under 50 pounds. It’s definitely a change of pace and lifestyle, but I really enjoy it. Touring’s not for everyone, but so far it’s been kind of a dream come true: You don’t have to pay rent, car insurance, internet bills…everything is taken care of, which is really refreshing. I really enjoy being on the road, and getting to see a lot of places I never thought I would ever get to see. What’s the favorite place you’ve been to so far? It was really cool being in Egypt, just because there’s so much rich history there, and to take a moment to say, “Wow, I’m climbing inside a pyramid of Giza right now.” That’s pretty surreal. Taiwan is also one of my favorite places in the world now. The capital, Taipei, was a really cool place. Everyone rides mopeds, and there’s amazing food everywhere. It’s a hip place. Are cultural/language barriers ever an issue? I think that’s what so beautiful about Beauty and the Beast: Everyone knows the story. It’s something that transcends through any kind of language barrier. Most of them know “Be Our Guest” or “Gaston” or “Something There.” The film is so popular everywhere, so everyone relates to it, even if they catch all of the jokes or not. Traveling internationally, the audiences’ response to the show is always different. Sometimes they’re really quiet—we ran into that in Macau, an island off the coast of Hong Kong. It was more out of respect: They didn’t want to interrupt the performance, which is a challenge when you’re brought up in the States, where theatre is such a responsive thing between audience and performer. A lot of these places have never had theatre before…so their response is always kind of a surprise when we get there. What’s your favorite backstage tradition in the tour? Really, it’s just been a dream come true to get to play Belle. I wish I could do it forever! I’m so thankful that AMDA gave me the tools to get to where I am. I feel like I used a lot of my audition preparation when I was in the [casting] room, actually being a person rather than just a singing robot that does theatre. It’s a really beautiful thing to get to take around the world—I feel really, really lucky. Learn more about Briana at brianarapa.com.